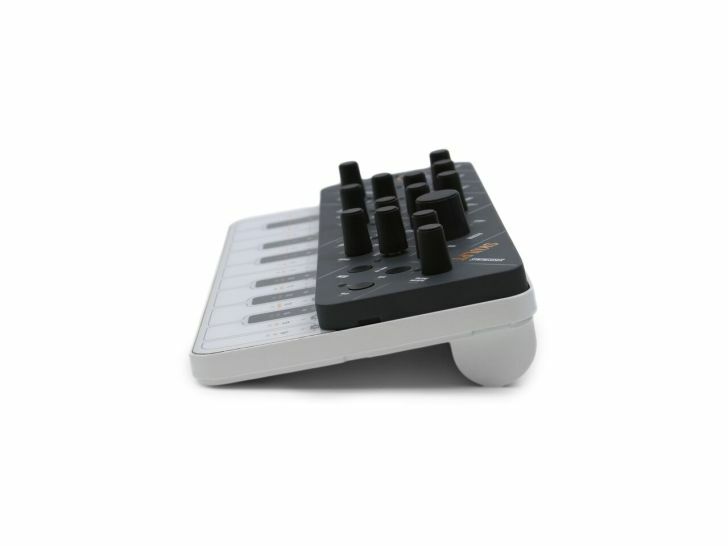 Modal Electronics have done ultra high-end boutique, and they’ve done cute, cheap craft synths. But now they’re gunning for a sub-$300 instrument that looks consumer-friendly – and packs some 32 oscillators and more. 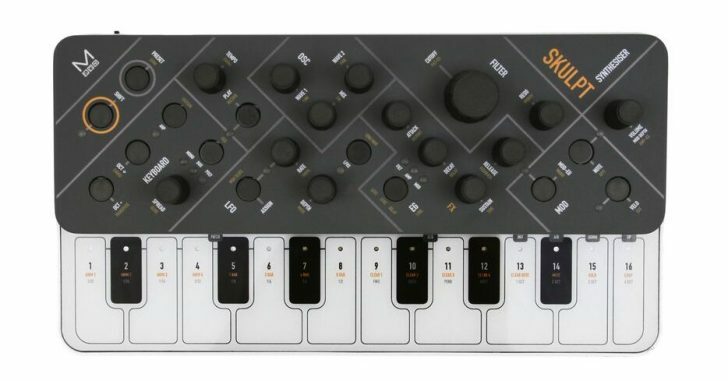 If it’s successful, it looks like the first portable power polysynth that has an entry-level price tag – no exposed circuit boards, no cutesy features, no stripped-down sound sources. And it also has some parallels to IK Multimedia’s UNO, introduced at Superbooth Berlin in May. It even has a membrane/capacitive touch keyboard like the IK piece. But whereas IK chose to go analog – and thus have just two VCOs – Modal have beefed up the architecture with by opting instead for virtual analog guts. What you get, then, is a monosynth, paraphonic, or polyphonic instrument. You can route modulation into elaborate combinations. You get FM, PWM, tuning, and ring mod. 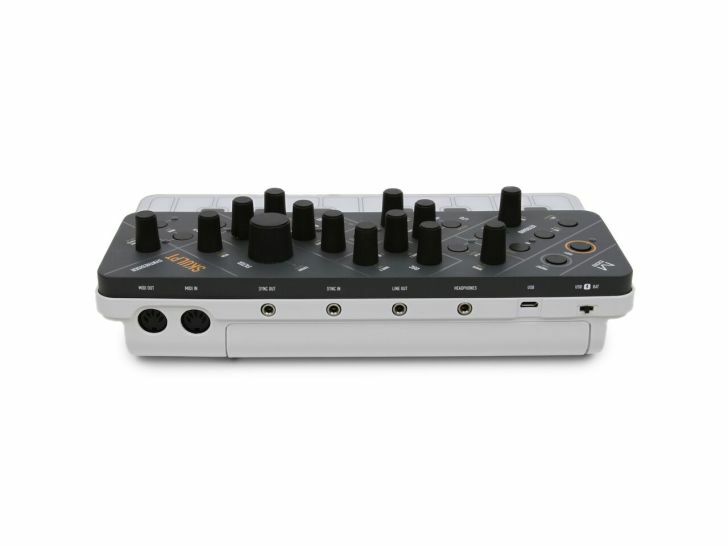 And it has a built-in sequencer plus arpeggiator, which seems to be fast becoming a standard feature these days – but a lot of extras for each that definitely are anything but standard. And with all that complexity, of course you’ll also be glad for the included patch storage and recall. But it’s the pricing – projected under US$300 – that make this so aggressive. You can buy an iPad and load it with a powerful polysynth for that price, but there’s not anything I can think of that does this. Realtime sequencer that will record up to 128 notes and up to 4 parameters. Fully featured arpeggiator with division, direction, octave, swing and sustain controls. The design looks contemporary and stylish, too, if perhaps recalling 80s Frogdesign for Apple. And you might expect some compromises on I/O or something like that, but … there aren’t. I’ll be curious to see how it’s received – while slick looking, the touch keyboard and that diagonally oriented control panel may not be for everyone. But it’s hard to argue with the price and all that power underneath. The Kickstarter launches next week.